Event - How do you MINI? The new Mini models (BMW brand) were presented during an evening of 'Spatial' multivision projections created by multivision designer Paolo Buroni who used his innovative technology to create three immense architectural choreographies over a space of more than 2000 square meters. BMW Italia chose a project by Paolo Buroni for the gala presentation of the new Minis. The project centred around architectural multivision projections used to create setting where the viewer is totally immersed in the images. 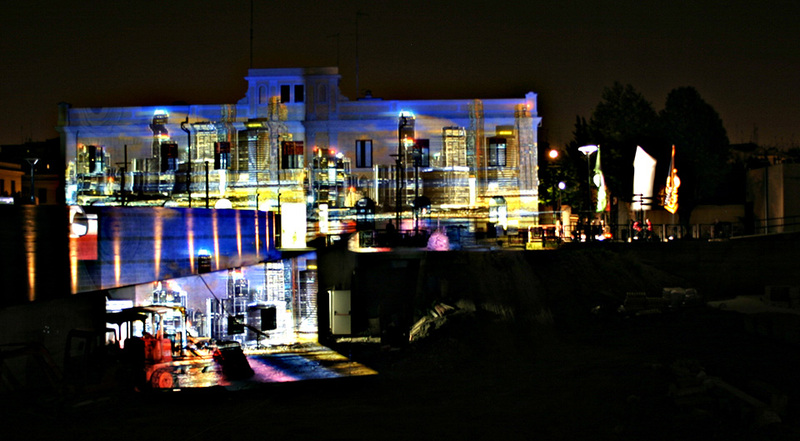 To make this multimedia event truly special, this 'settings' designer created three separate architectural multivision shows which were projected on three large buildings surrounding the venue. These large architectural structures served as the screen for the event and at the same time they were part of the event, being encircled by the interweaving and overlapping images as they faded one into the other. 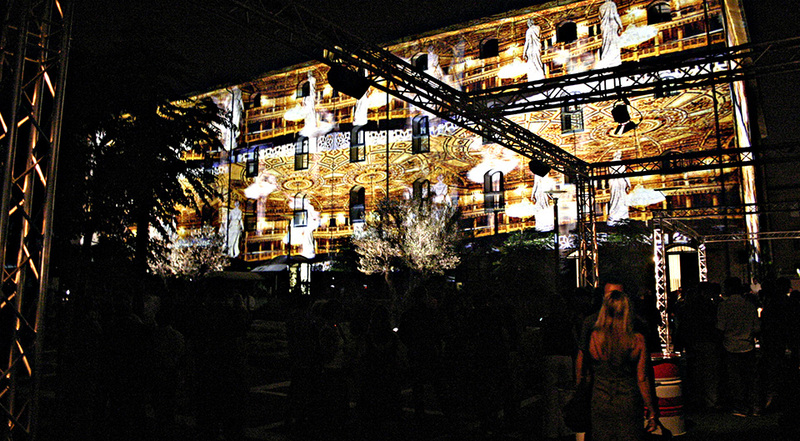 The event was held in Rome in the large area offered by ISA (The Fire Prevention Institute) where the innovative, sophisticated 'Stark' multiple projection equipment was installed: 25 projectors were used to cover the vast surfaces with immense animated images to bring the space to life with huge, dynamic scenographies. 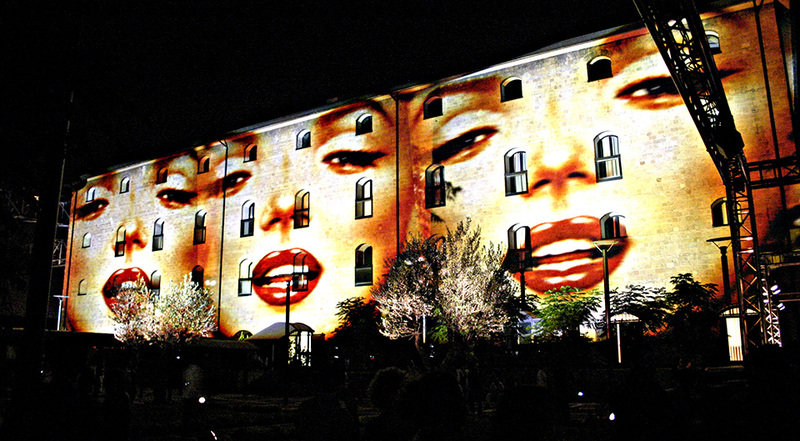 For the occasion, Paolo Buroni created three separate multivision shows projected on three large buildings in a 'U' shape layout which completely immersed the guests in the images. After choosing Paolo Buroni to direct the event, BMW gave him complete artistic license to use his personal style in creating the event. The only instructions given were to create three settings in harmony with the personalities of the three cars: Young, elegant and sporty. Like in a huge film in slow-motion, the hundreds of intersecting and overlapping images slowly faded into each other and were accompanied by a synchronised soundtrack. The 1,600 guests were immersed is this incredible virtual 'setting' until late into the evening. Turtoro Technology of Genoa and the Stark Company of Pesaro were responsible for the technical details. Stark is specialised in presenting this type of event and is also the constructor of the special equipment used. Cinevideostudio provided on-site lighting technology and logistic support. Paolo Buroni , an internationally known multivision designer, has already created similar event with 'spatial' multiple projections in the most unusual of spaces, for example in Montecarlo for the Ferrari Team, on the Marmore Waterfalls for Archie Sheep, in the stadiums of Istanbul and Sansiro, at the Coex Center in Seoul and recently at the last Cinema Biennial in Venice.